On Jan. 13, Colorado’s Park and Wildlife Commission approved a resolution that prevents the reintroduction of grey wolves to Colorado, and Colorado Farm Bureau members attended the hearing to show support of the resolution. Important aspects of the resolution, stated by the PWC, are; the focus on the Mexican wolf recovery in historic range, maintain integrity in subspecies (C.I. baileyi), reaffirm WWG recommendations, reaffirm legislative authority over state involvement in ESA introductions and intend a better outcome for wolves in Colorado. 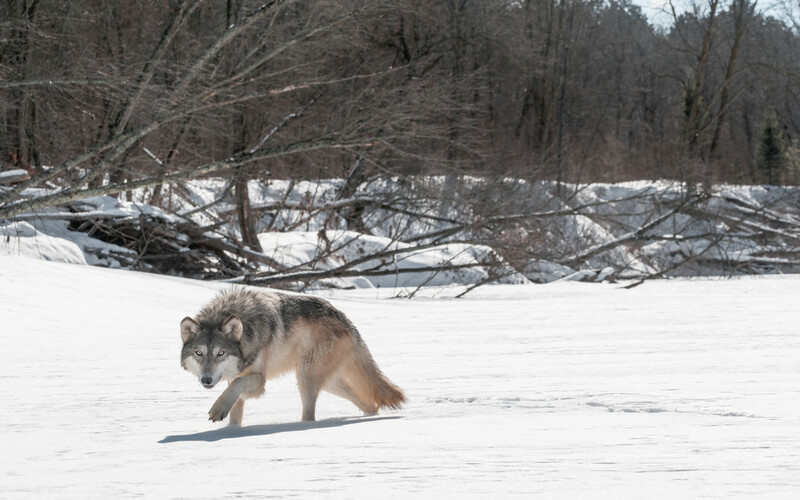 More than 10 years ago, the PWC approved a plan entitled “Findings and Recommendations for Managing Wolves that Migrate into Colorado.” The plan, a collaborative result of the Colorado Wolf Management Working Group, was in response to the reintroduction of gray wolves by the U.S. Fish and Wildlife Service into their historic habitat, the northern Rocky Mountains. In November, the PWC returned to the discussion of wolves and the active introduction or reintroduction of wolves into Colorado. Interest in wolves remains high in Colorado and the proposed resolution has generated considerable public discussion and concern. Contrary to the opposition’s belief, CPW stated in a release that this resolution embraces the best scientific option. The reintroduction of the grey wolf would be counterproductive to the attempt by the USFWS and the Mexican government to reintroduce the Mexican wolf north of its “historic range.” Given the long-range movements of wolves, interchange between Mexican and grey wolves would be expected, resulting in a dilution and perhaps loss of the unique set of genes carried by the Mexican wolf. CFB believes the reintroduction of wolves into Colorado is a no-win situation. Wolves will only negatively impact ranchers through animal losses, the state through hunting of big game and the citizens of Colorado through restricted abilities to use public lands. Colorado Farm Bureau is the state’s largest grassroots organization with nearly 25,000 members across the state. CFB seeks to promote and protect the future of agriculture and rural values.